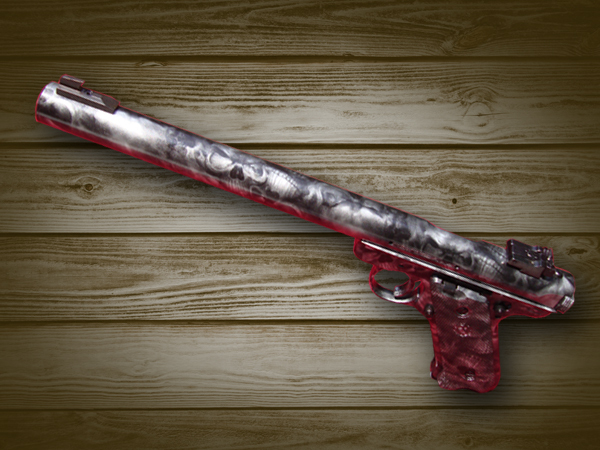 Our most popular model has an 8" tube and there are no special tools required to dismantle the suppressor. This design maximizes accuracy and sound reduction in one package. 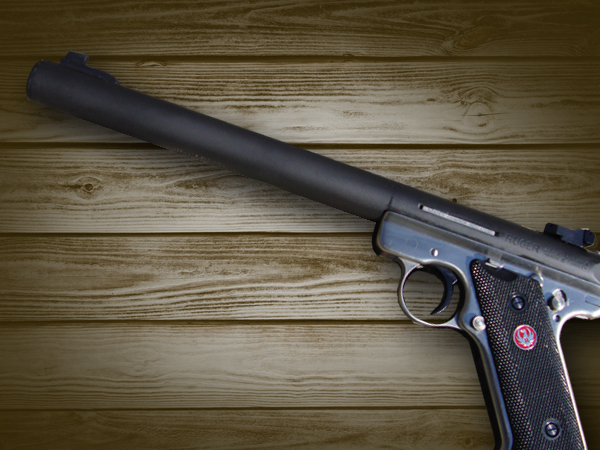 This suppressor can be installed on a variety of firearms provided by the customer or dealer. 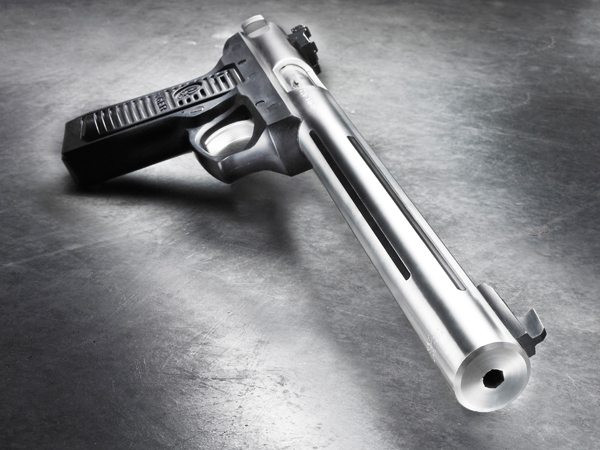 To purchase a gun/silencer combo see options below. 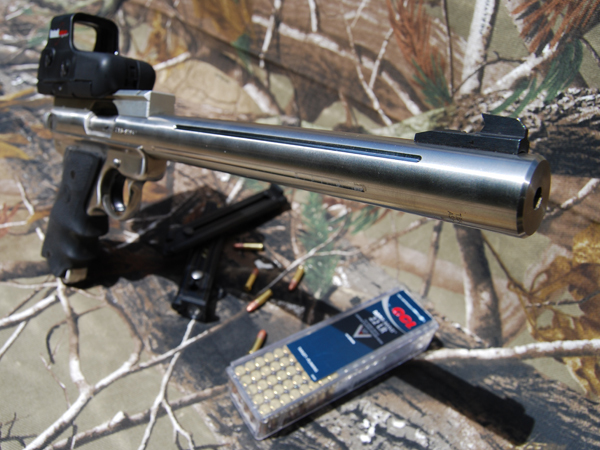 Shown here is our Silenced Integral Ruger MKII™ with the TBA patent pending bolt lock device. 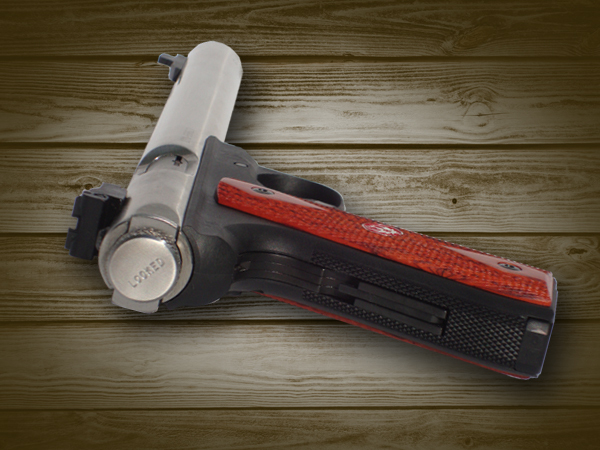 Unlike most products on the market, our guns retain the factory barrel length. All of our competitors reduce the barrel length to overcompensate for poor engineering and ultimately this leads to very slow bullet velocity and poor accuracy. Please visit our Shop Services and to see examples of a few of the "sealed" units with tiny barrels we have fixed because the original manufacturers would not repair them. The baffle stack and the tube are removable for cleaning with simple hand tools. A 1/4" Allen wrench removes the end cap and the 6 baffles are then removed. Next a 5/8" socket removes the machined barrel stabilizer. 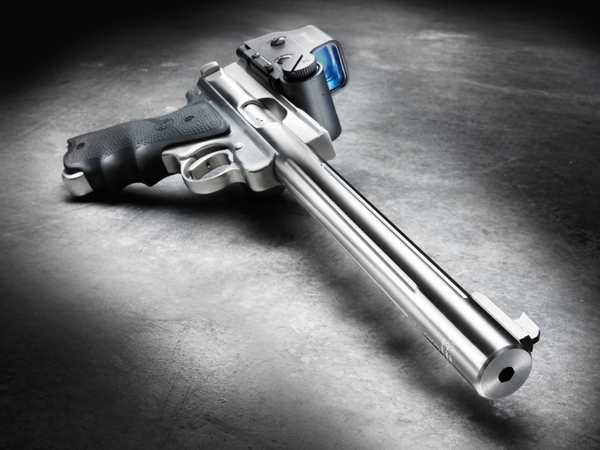 These pistols will shoot high velocity ammunition and have been modified to reduce high velocity ammunition to 1000 fps and are quieter than an air rifle. 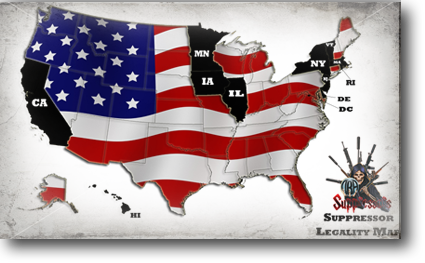 If you would like a longer or shorter tube or barrel we will be glad to do this based on your needs. 6061 T6 Aluminum (standard): 1.3 oz. 316 Stainless Steel: 3.5 oz.